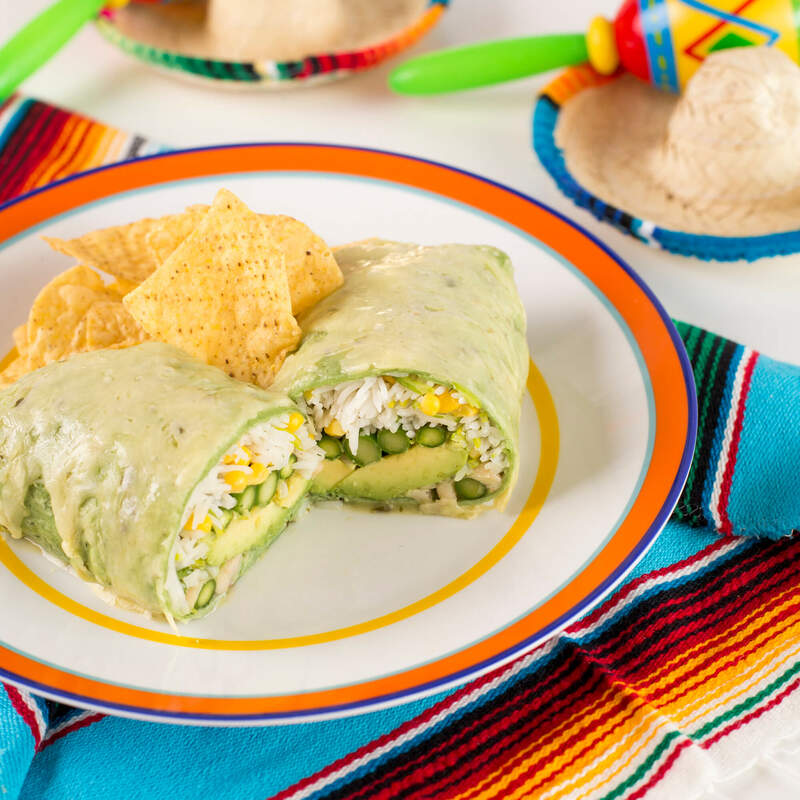 Relish a delicious dinner stuffed with rice and veggies by whipping up a batch of these Green Royal® Basmati Rice Burritos, smothered in sauce and cheese and baked enchilada style. Combine rice, water and salt in a medium sauce pot with tight fitting lid. Bring to a boil, then reduce heat to simmer and cover. Cook for 15 minutes, or until water is absorbed. Combine cooked with rice with cilantro, corn, and beans. Stir to combine. To compose the burritos, add ¾ cups of the rice mix to each tortilla, 3-4 stalks asparagus, and half of the avocado. Fold, fold and seal, then place on an oven safe dish or baking tray. Cover with ½ cup enchilada sauce and ½ cup cheese. Bake for 10-15 minutes, or until cheese is melty and brown. Cut each burrito in half.